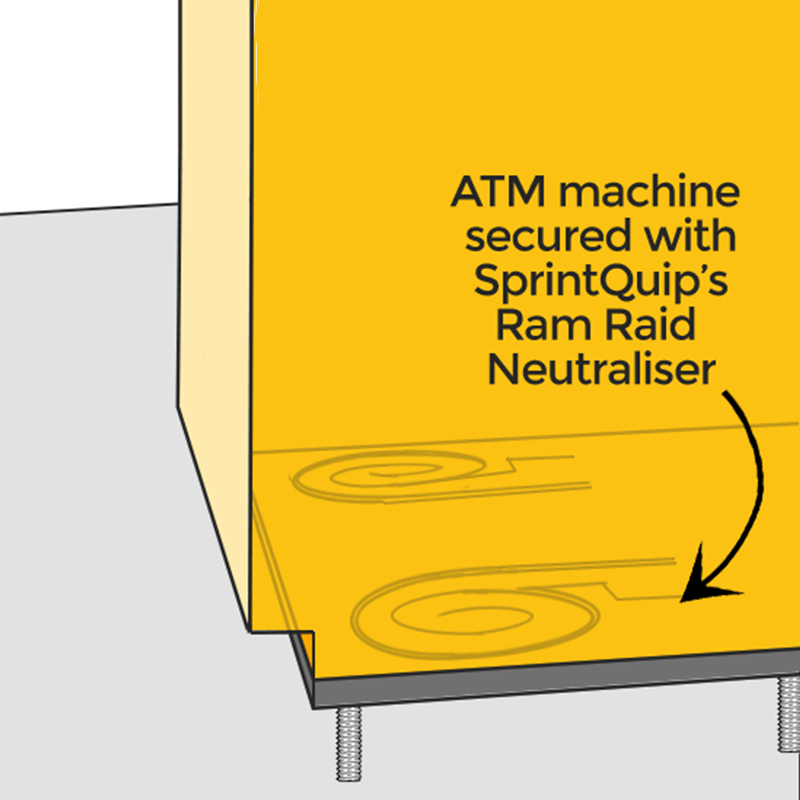 SprintQuip RAM RAID Neutraliser is a high quality steel plate specially designed to absorb the shock of a ram raid attack, ensuring your machine stays attached to the ground regardless of the direction of attack, or number of hits received. Mainly used to secure ATMs, it is suitable for any stand alone machine at risk. 1-piece construction of high grade manufactured steel, cut out to host 4 shock-absorbing arms and customisable installation fixing holes. 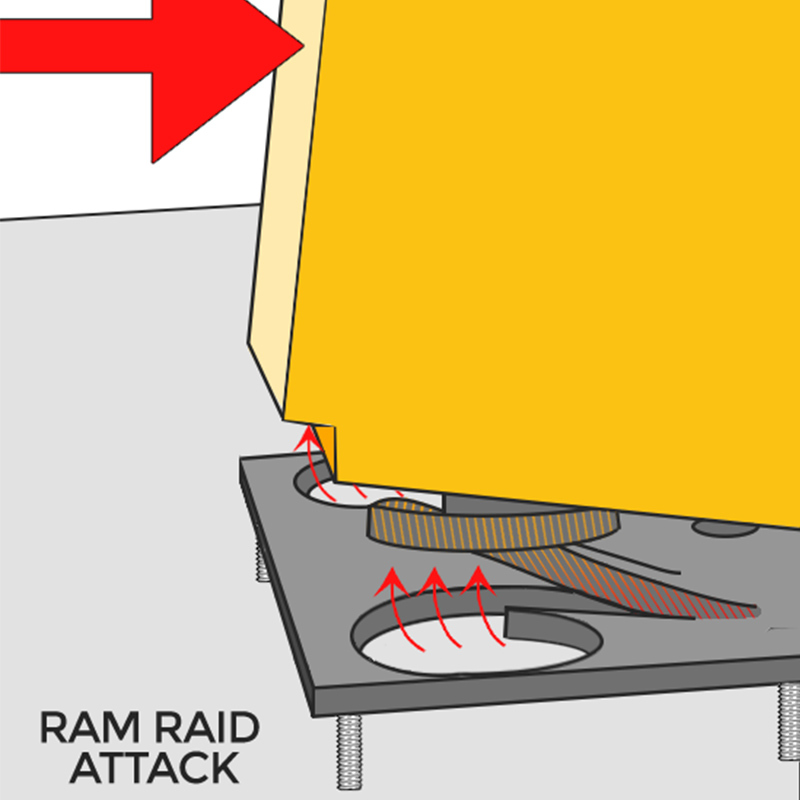 The four ram’s horn-shaped arms are designed to slowly bend and uncoil while absorbing the shock of a ram raid attack. withstand multiple attacks from all directions without detaching from the ground AND the machine. Installation does not require additional chiseling or flooring to accommodate and secure to the ground, meaning minimal damage and easy installation. 2cm thick, it’s easy to fit under or behind any machine. 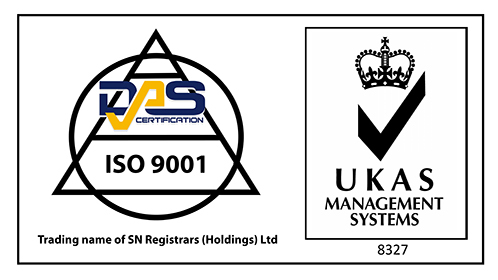 To help our customers understand the outstanding capabilities of the RAM Raid Neutraliser, we created the enclosed demonstration video. To watch it now, please press the play button.